Do you have a vehicle that can be safely described as being a “Clunker?” Don’t worry, you aren’t the only one. Many people around the world are similarly afflicted with this same condition. That is why we want to help the people of QLD by providing them with a means for selling their old junk automobiles. No-one should have to pay to have something that is worth good money taken off their hands. They should be the ones getting paid. Trucks are often the backbone of a business. This is why they need to be replaced as quickly as possible when they have permanently broken down. However, space needs to be created for the replacement truck to go. This is where we come in. We will remove that truck from your property for free. We just ask that we can pay you top cash for it first. This will only take a day, and you can use that cash and extra space for the new truck that you buy. Read more about our truck wrecking services. Have you gotten so much good use out of your van that it has gone and kicked the bucket? If the repair costs are far too high for it to be practical to have it fixed, congratulations. You now have a junk vehicle in the shape of a van. It is a good idea for you to get rid of it as soon as you can. You will no doubt be wanting to buy a replacement van. But first things first. You can’t leave the old junk van on your property. It will rust away and be worth less money in parts as it gets older and more weather worn. Contact us and we will buy that van off you for top cash. We will also come over with our removal equipment. Before you know it, your van will have been hauled off into the sunset, and you will have a nice sum of cash in your wallet! Your Ute probably helps you complete a lot of day to day tasks at your business. If it were to ever incur such damage that no-one would ever be able to drive it again, you would want to get a replacement as fast as reality would allow. However, first you need to find a way to get rid of the current one. This is easy. Here at QLD Wreckers we buy Utes all the time. We love Utes, and we love wrecking them. We love paying large amounts of money for them, and we love removing them for free. Do you have a junk Ute? Please allow us to indulge in our love for buying and wrecking old Utes. 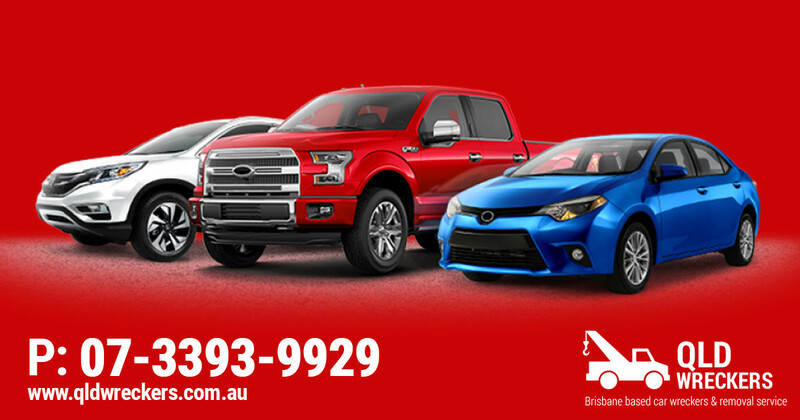 Sell your broken down Ute to us. We will make it worth your time by paying a generous amount of cash for it! Don’t worry about what make or model of Ute it is as we buy them all. Everyone loves a good 4×4. They provide a much needed work-horse element to the world of automobiles. But if it has suffered an overheated engine, and the result is that the engine itself is damaged beyond repair, then what can you do? Well, it turns out that not all is lost. We will actually buy your 4×4 that is now effectively a junk automobile off you. And perhaps the best thing is that we will happily pay you the maximum amount that it can possibly be valued at. 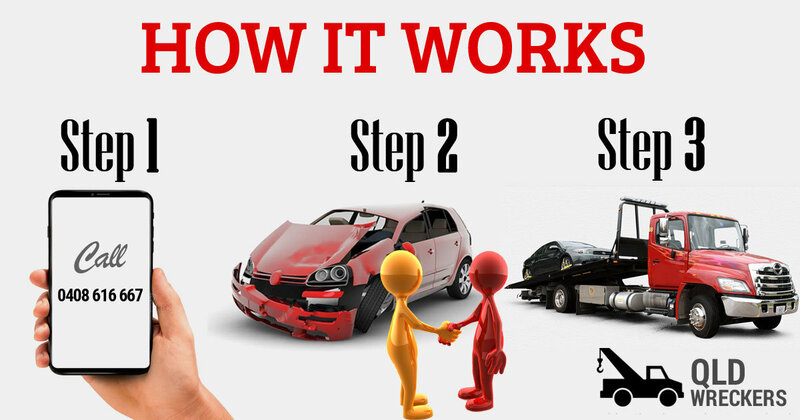 First, call our 4wd Wreckers in Brisbane, to get yourself a free quote. You can do this easily by either calling us or going to our website and filling out the form. Then once you have accepted our cash offer enthusiastically because it was so generous, we will make a time and place for us to come over and buy the 4×4 off you. Our crew will be removing it at no cost to you, so don’t worry about contacting a towing company. We will buy any make and model, and the condition that your 4×4 is in won’t be a barrier to your ability to sell it to us. If you own a bus, you will need to get rid of it fast when the unthinkable happens and it breaks down for good. Not least because busses take up such a huge amount of space. But you will need to get a replacement as fast as possible too, and you need space to put it, along with some money to buy it with. We can help with all those things. How? Well, first we can buy the bus off you. We will do this no matter what condition it is in or what make or model it happens to be. Second, we will remove the bus from your property. We have a team of highly skilled auto removal specialists who are trained in removing large vehicles such as your bus. It will be a quick and painless procedure, and it will also be free! Everyone loves vans. They hold a lot of people and for this reason are extremely useful. But junk vans are not beloved by many. Instead, they are in need of wrecking. If you have a junk van of any kind, you would be best to get in touch with us so that you can get top cash for it, before we remove it from your property for free! If you would like to get a free quote, call us at 0416 615 100. Or we have a quote on our website you can complete. We will get back to you fast!